Tina is a native Californian with a great love for the outdoors. She enjoyed many summers with her family, as a child, on her family’s 90-acre farm in Indiana. She has experienced the excitement of backpacking in the High Sierras along the North Fork of the Kings River and to the Devil’s Punchbowl. She now loves yearly camping with her extended family. Tina attended California State University Los Angeles and comes to us with over 30 years of experience as an Operations Administrator with a demonstrated history of working in customer service. She has a love for people and a heart of gold. In her spare time, she loves working with wood (refinishing furniture), gardening, and is active in her local church. Jerry Gutierrez is a native Californian. He has been with the Safari Press/Sports Afield for 16 years when he started as a graphic designer. He has a Bachelor of Art degree with emphasis in Design from California State University, Los Angeles. Straight out of college, he became a middle school computer science/math teacher. He then worked for a major computer software company as a graphic designer, photographer and media expert, working in the marketing dept. He has edited short films, movie trailers, and has worked on commercials. He has worked his way up to Senior Graphic Designer for Safari Press and Art Director for Sports Afield magazine. He now takes on the challenge of being Chief Operating Officer for Safari Press/Sports Afield/Sports Afield Trophy Properties. He enjoys spending his free time with his wife and two children. Jim is an experienced accountant with a work history that includes both large and small companies including Hyundai Motor America. This experience has provided Jim the foundation to adapt to the ever changing needs of a growing company like SATP. He holds a BS in Accounting from Cal Poly, Pomona and a MBA from the University of Phoenix. Jim has extensive "hands-on" experience including everything from controller and manager duties to being the backup responsible for accounts payable and credit and collections. Born in Inglewood, he is a native Californian. He lives with his wife of 40 plus years and enjoys softball and spending time with his children and grandchildren. Annette Patterson has been with the company for 5 years. She has a Bachelor of Art degree from Carson-Newman College, Jefferson City, Tennessee and graduated right after the dawn of computerized graphics. After graduation she started her graphics career with a two year assignment in Ghana, West Africa as an Assistant Publications Director for printing Sunday school books. She worked for many years in newspaper graphics before coming to SATP. Annette is married to a cool musician with two stepsons, one with autism. She likes to read, draw and paint in her spare time, does face painting for charity, and enjoys listening to Weird Al Yankovic. James Reed grew up in the Midwest, farming and working at his family owned farm implement dealership and hunting whitetails whenever possible. James moved west to the mountains of Idaho in search of more hunting opportunities and the solitude of the Rockies. In 2008 James brought his many years of hunting, guiding and sales experience to Sports Afield when he joined our team. James is now the Director of Sales of Sports Afield and Sports Afield Trophy Properties. As anyone who knows James can attest, hunting is not just his job-it is a huge part of his life. James lives in the mountains of Idaho with his wife and five of his children, all of whom hunt, fish and embrace the outdoor lifestyle. A veteran of the industry, James incorporates 35 plus years of sales experience with 45 years of hunting experience. He has hunted in 10 countries on four continents and is a veteran of 12 African safaris. Carrie Zrelak has been with Sports Afield for over a decade. Ms. Zrelak is a California native who has taken her love of the outdoors into her professional life. As office manager, her passion for quality customer service extends from a belief in team building and service to our clients and customers. Ms. Zrelak enjoys oil painting, her family, and spending time in the out of doors. Ludo came to the USA in 1979 and attended Marshall Business School at the University of Southern California (USC). He is married to Dr. Jacque Neufeld, a native of Cincinnati, and they have a son, Rory. Ludo and Jacque started book-publishing company Safari Press in 1984. In 2002 Ludo was one of the founders of Field Sports Publishing Inc., which purchased Sports Afield from Robert E. Peterson (who had bought the magazine from The Hearst Corporation a few years earlier). In 2014 Sports Afield purchased Cabela's Trophy Properties and renamed it Sports Afield Trophy Properties. When not working, Ludo enjoys downhill skiing, hunting, and motorcycle road racing (as a spectator only), and spending time with his family both in the USA and in Holland. SATP has a Planning Council in place that consist out of full time licensed and accredited real-estate professionals who have served in the industry for 10 or more years. All planning Council members are Exclusive Sports Afield Trophy Property brokers and highly respected by their peers in the industry. Council members help steer SATP marketing, branding and strategic direction. The council meets physically once a year and hold regular conference calls. Email :[email protected] Kevin is the Broker/Owner of Clearwater Montana Properties, Inc. He believes that providing you with knowledge of the land and area is key to guiding you to make the right choices. Born a 5th generation Montanan, his extensive knowledge of Montana enables him to shoot straight with many years experience and knowledge. He believes in advancing his real estate education and has obtained his CRB (The Council of Real Estate Brokerage Managers), GRI (Graduate of Realtors Institute), RRS (Resort and Recreational Specialist) designations, as well as extensive real estate brokerage management and supervision. Kevin enjoys elk hunting, fly fishing, downhill skiing, hiking, and basketball. Email :[email protected] Jeff Switzer founded Rocky Mountain Ranch & Land to realize his vision and passion for the land. 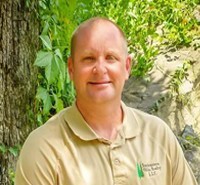 He brings over 25 years of experience to the real estate business and his love of the land and the outdoors extends through his business practices. He has been a licensed real estate broker in 5 states and currently holds active licenses in Colorado and Florida. He has worked in every facet of the recreational land business including acquisitions, sales & marketing, land planning, entitlements, and development and has held senior executive positions for several nationally recognized real estate companies. His experience has taken him to every region of the United States and since 1995 he has acquired or managed the development and sale of numerous ranch and recreational properties throughout Central and Southern Colorado. Email :[email protected] Vicki Garrisi, Owner Broker of True West Properties, has lived and recreated in the great Rocky Mountains of Colorado since 1995. Born and raised in Maryland, she spent her early years on the waters of the Chesapeake Bay and the Appalachian Mountains of Western Maryland. A career in sales gave her the opportunity to work with diverse mix of clients from US corporations to farm & ranch businesses on the Eastern Plains and Western Slope of Colorado. A passion for the outdoors, strong connection to the mountains and love of the Old West and its history led her to a career in mountain real estate. Vicki believes every piece of land is just as unique as the person seeking it. Email :[email protected] Heleen grew up in a farming community in the Netherlands until her parents decided to immigrate to Canada in the year 2000. After completing High School she worked for several years in the field of accounting. For those that know her, she likes to pay attention to detail and take pride in her work with professionalism, integrity, honesty and good ethics. 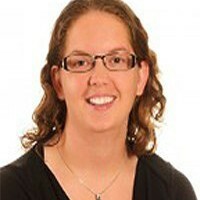 Eventually she decided to join the Real Estate Industry in 2005, and it didn’t take her long to decide that this is where her passion was, and she worked towards getting her Alberta broker’s License in 2008. She achieved all this while enjoying farm life in her spare time which included milking cows, moving pipes, spending many hours in a lambing barn and working the fields. The Farm Industry helped her in becoming the leader of our well known, respected, knowledgeable and experienced Farm Team! We are excited to have her as part of our Council! Email :[email protected] Tim is the Broker/Owner of Southeastern Oklahoma Realty. Raised in Oklahoma, Tim has firsthand experience on the land and knows the passion that landowners in Oklahoma possess. He has over 20 years experience and extensive knowledge of all aspects of land use and development including hunting, timber management, and wildlife management. Tim specializes in selling recreational, ranch and lake properties in Southeastern Oklahoma. He is passionate about helping people find their perfect properties. Tim's passion for the outdoors makes him the perfect agent to help you with your purchases of hunting land, cattle land and 1031 exchanges. And Being an avid hunter and sportsman himself gives Tim added insight to help find your perfect property. Email :[email protected] Born and raised in Oregon, Perry has hunted, fished and recreated around the entire state. Perry attended Southern Oregon University where he was President of the Criminology Club and received his B.S. Degree in Criminology. Perry also served in the Oregon Army National Guard and worked as a police officer for almost two decades. Perry served as a Hostage/Crisis Negotiator for the City of Hillsboro Police Department and tactical team and helped train new officers. Perry knows Oregon, and he also understands hard work, integrity and Love of state and country. Tim's background in marketing and business management has been an integral part of the growth and success of Safari Classics Productions, which produces World of Sports Afield TV. His love of hunting, shooting, and fine double guns eventually led him to Africa, starting a love affair that has only gotten stronger since he first set foot on The Dark Continent over twenty years ago. Tim has hunted and filmed in most of Africa's premier hunting fields and has taken the majority of the recognized dangerous game. Tim has spent a great deal of his professional life on African soil in the capacity of producer and videographer for his company's numerous television and DVD projects and his work has long been enjoyed by sportsmen who see Africa as the ultimate hunting destination. Tim splits his stateside time between the business end of the TV and production division and his African safari booking business. Dave's has been a life entirely dedicated to his passion for the outdoors. His love for adventure and big game hunting has allowed him to travel the globe in several capacities ranging from guide, outdoor writer, videographer, and producer and television personality. Dave has hunted on four continents and taken over 75 species of big game, but his heart and professional career are most notably linked to Africa. Dave spends a great deal of the safari season on location in Africa filming, hunting, and working with the outfitters Safari Classics represents. When not in Africa, he is in the Dallas office assisting safari clients or overseeing the production of Safari Classics television and DVD projects. Christy is Safari Classics production manager. Overseeing all areas of video production in the Dallas office, her talent as an editor, combined with her creative eye, is a driving force behind the success of Safari Classics Productions and World of Sports Afield TV. Seeing Africa every day through her computer, and having been on safari herself, enables Christy to capture the mood and unforgettable moments of a particular story or safari. Christy is truly one of the top editors and production specialists in the entire world of outdoor production, making her a key member of the Safari Classics team.